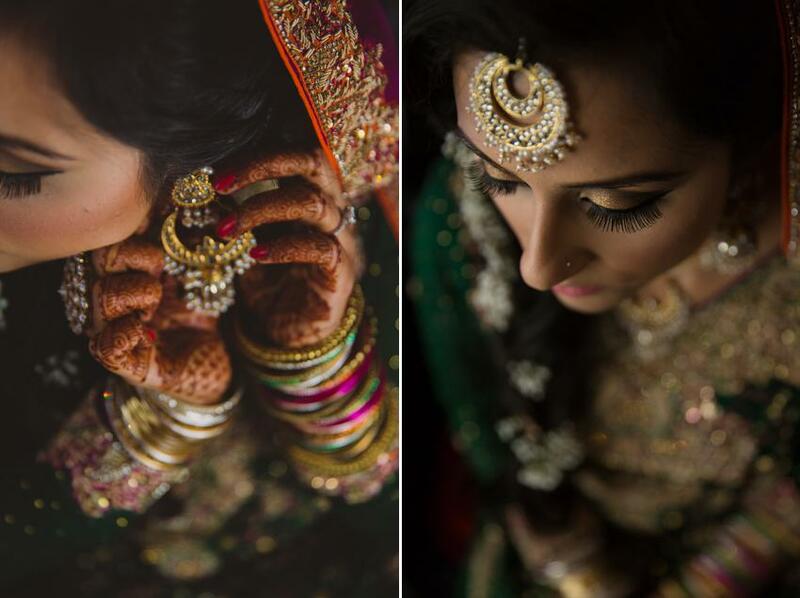 Pakistani weddings are joyous affairs full of colour, vibrancy and merriment. 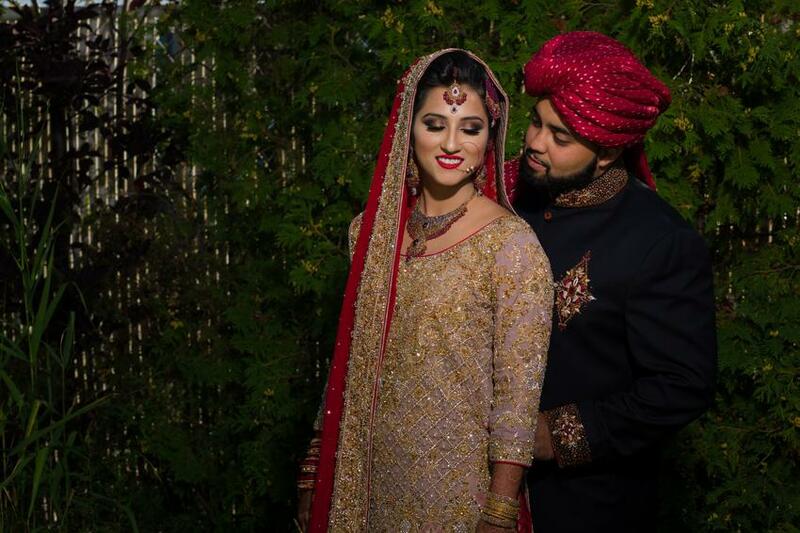 Hiba and Ahmed’s wedding was all that and so much more – this was the most extravagant Pakistani wedding we have shot thus far! 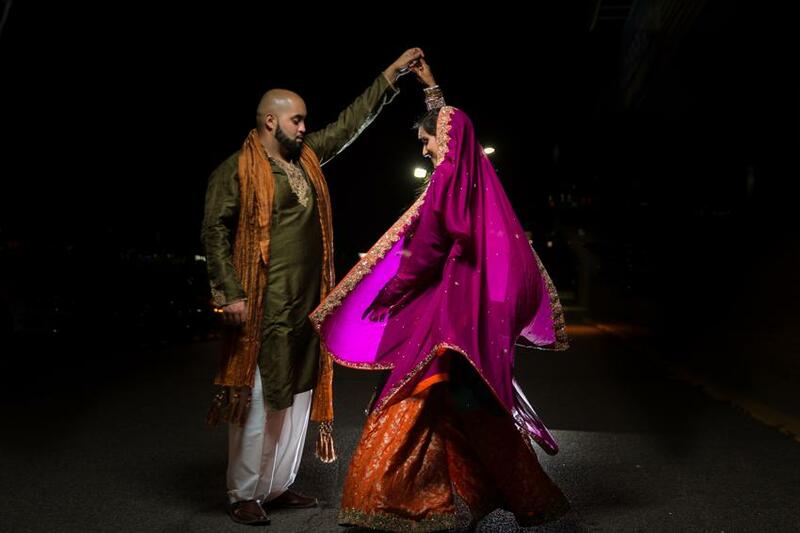 The first of their events was the Nikkah followed by the Sangeet. Hiba dressed in beautifully unique Pakistani wedding outfit in bright orange and purple with the perfect hint of green which was matched by the groom’s traditional Pakistani kurta. 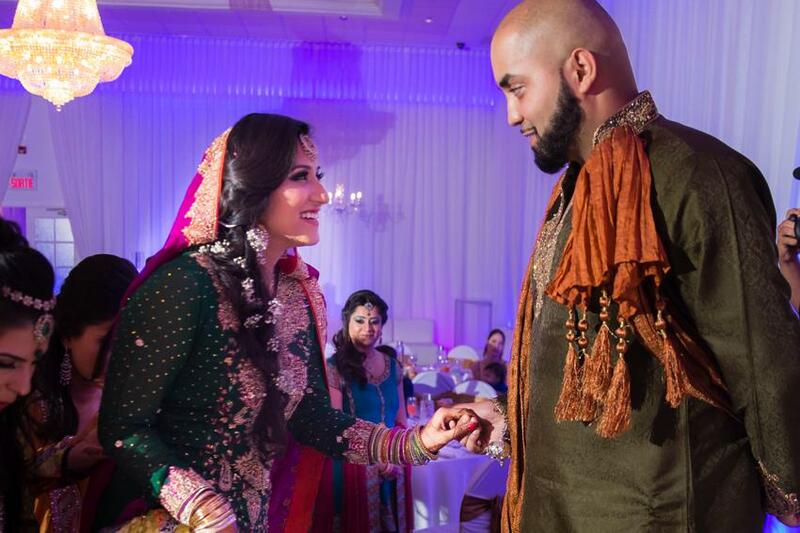 After the formal Nikkah ceremony uniting the couple in their marriage, the celebrations began! The Sangeet was full of well-choreographed dance performances performed by the family and friends! 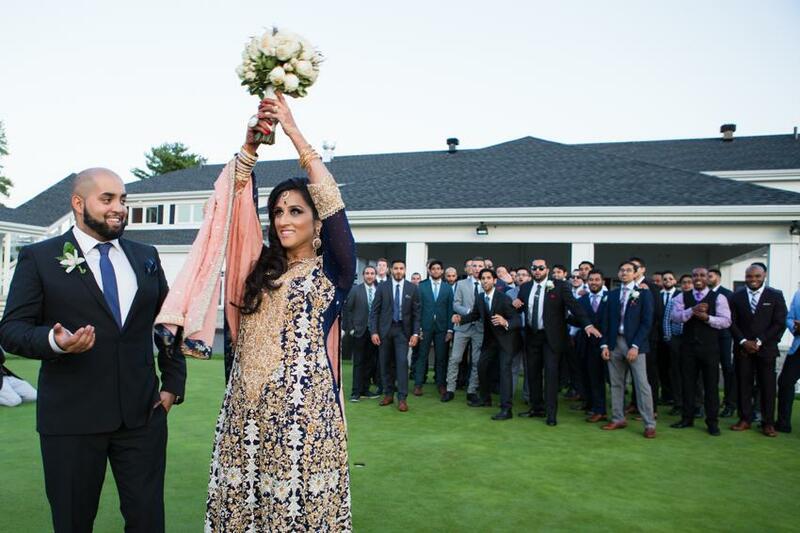 The groom’s brother stole the show when he and 20 groomsmen surprised the guests by having Hiba and Ahmend join the routine. Everyone had a great time – event the elders, including Hiba’s parents, got in on the dancing action. The Embassy Plaza Hotel was full of joyous festivities until the early hours of the morning. 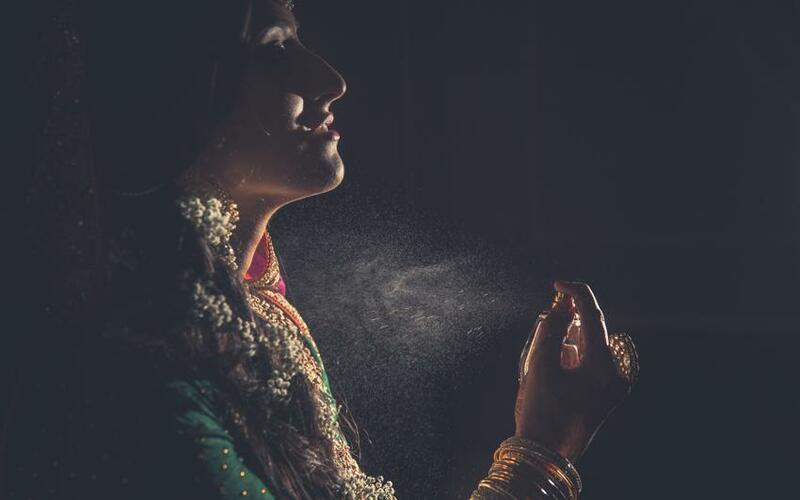 A spritz of perfume for this glamorous bride. The Groomsmen ready to get the night started! 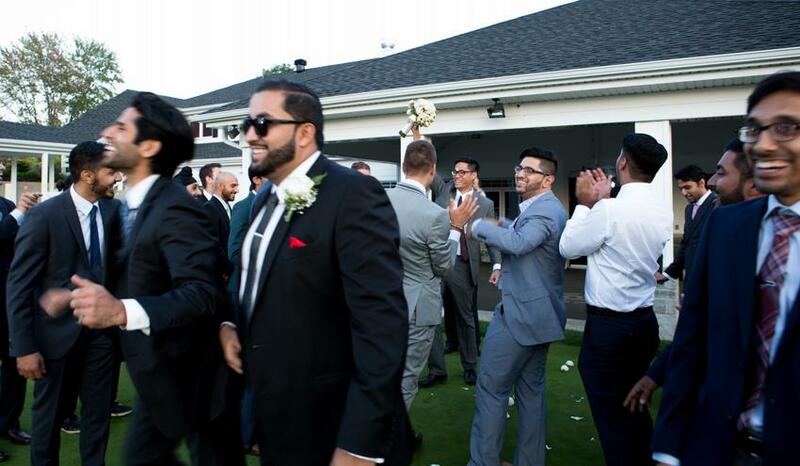 Ahmed’s groomsmen celebrate as he enters. The Bride makes her elegant entrance. 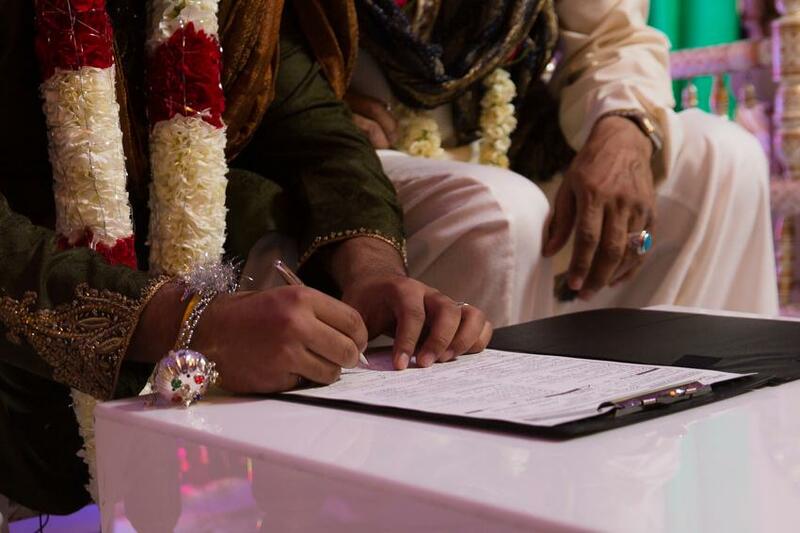 Finalizing the Nikkah and marriage union. A bittersweet moment for the Bride’s parents seeing their little girl become someone’s wife. 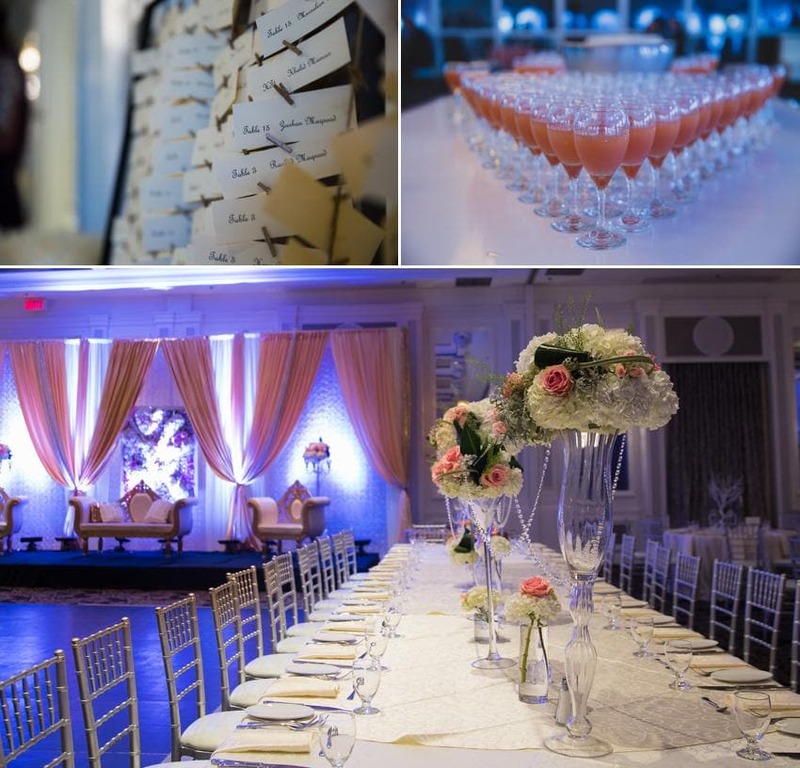 The Shaadi was the second of the wedding events hosted at the elegant Crowne Plaza Hotel. A red and gold wedding lehnga with exquisite embroidery made Hiba the most stunning of brides. 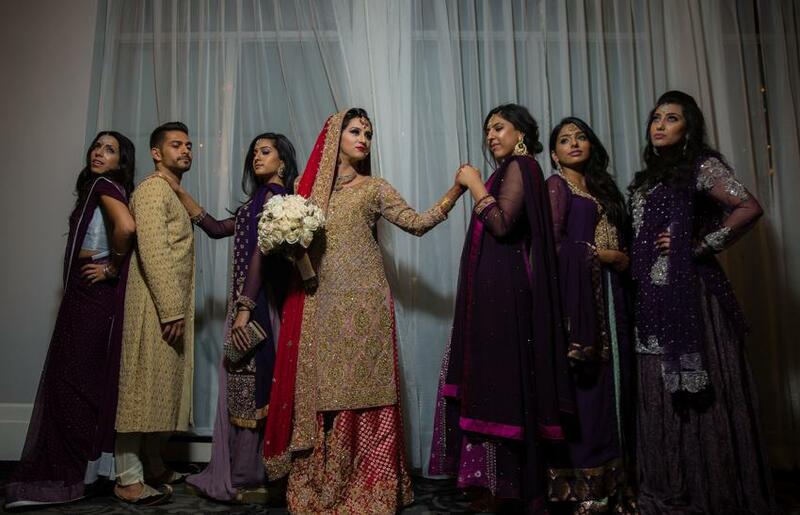 All eyes were on her as she stood out against the contrast of Ahmed’s black sherwani. 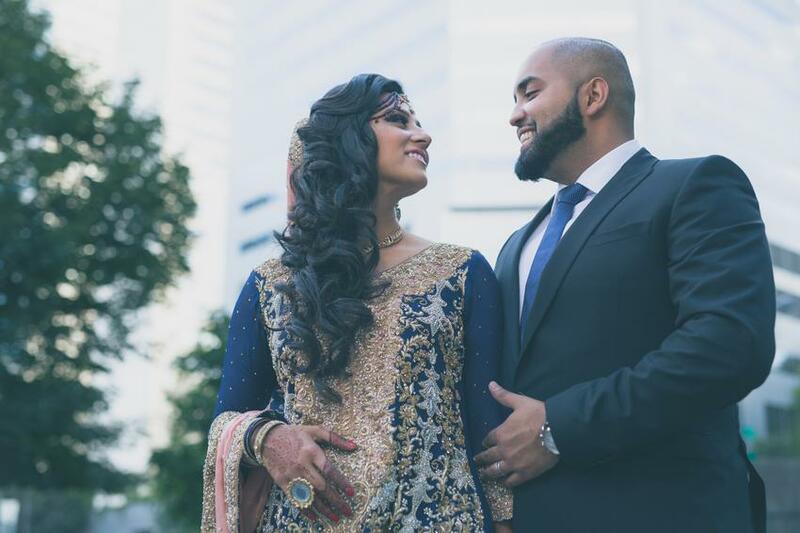 This was an emotional affair as the bride’s family shared heartfelt speeches about growing up with Hiba and the their hopes and dreams for her bright future. These moments are perfect for wedding photographers to understand the relationships and the story they are telling through their photos. 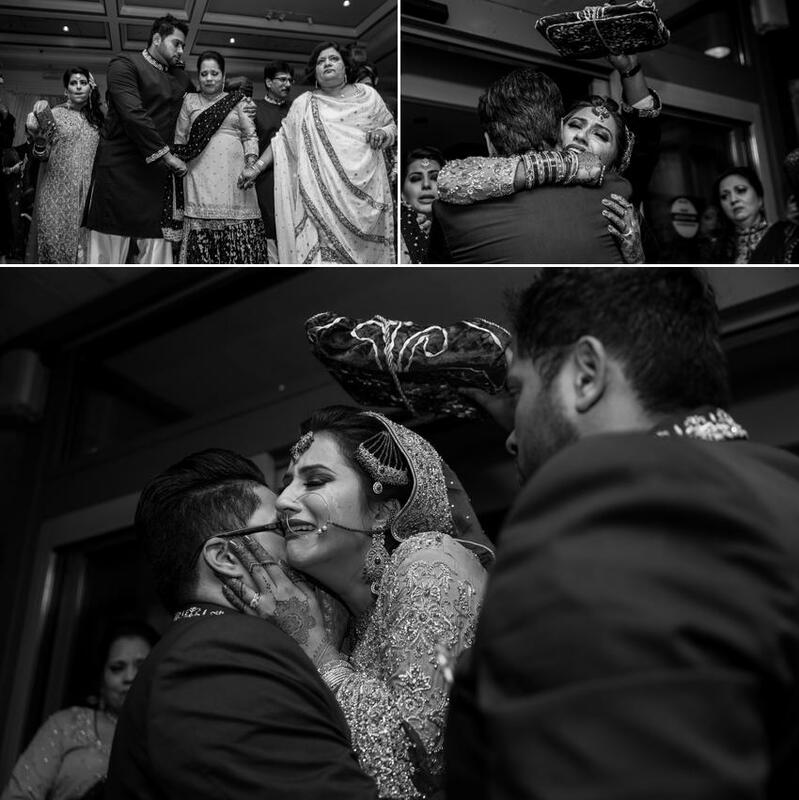 The emotion remained high as the bride departed with her groom during the doli ceremony with the Qur’an Shareef. 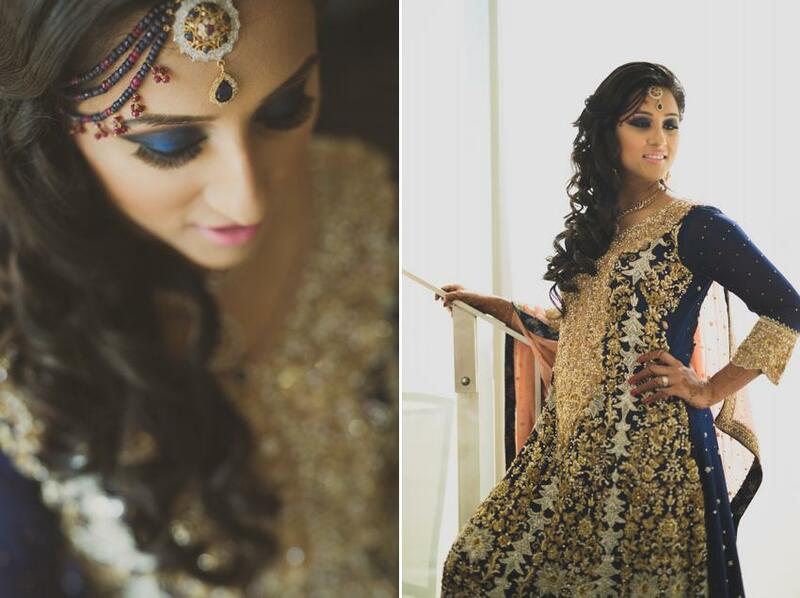 Hiba’s gorgeous look for her Shaadi ceremony. The perfect accessory for every bride – her smile! 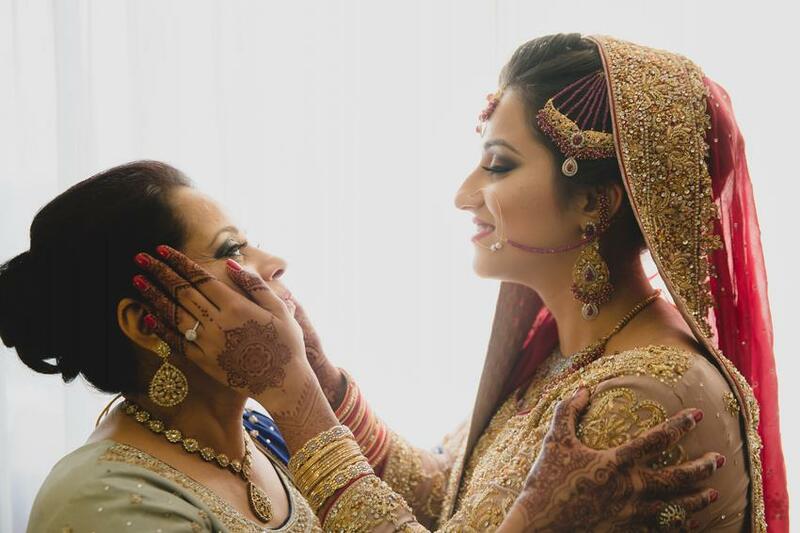 A gorgeous bride with her beautiful mother, sharing a precious moment before the shaadi. 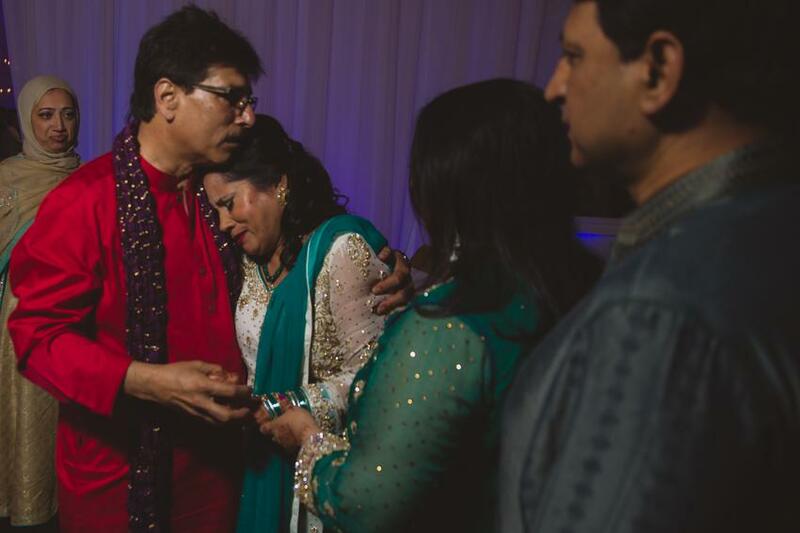 A loving moment between Hiba and her parents before the Shaadi. 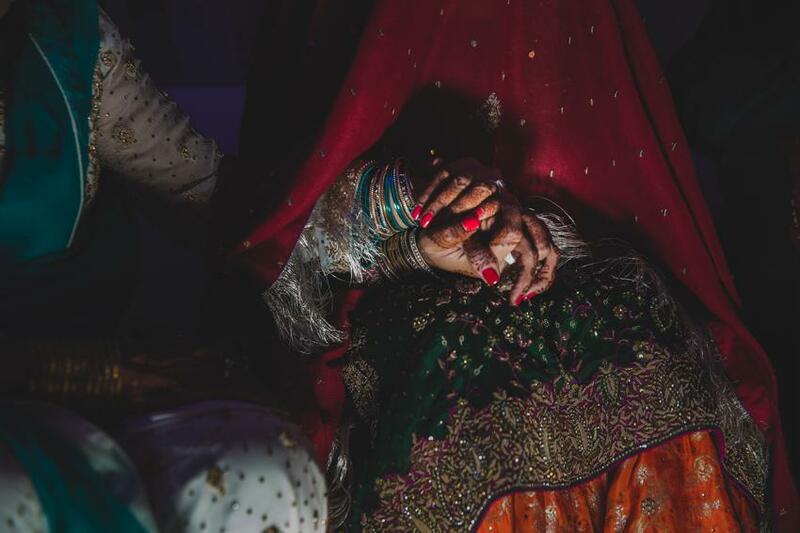 A very emotional Doli ceremony where the bride departs from her parent’s home with her new husband. Coincidentally, the night of the Walima was also the birthday of the groom and his twin brother. After a beautiful speech by his brother describing their close relationship, Ahmed and his brother included all their guests in a birthday celebration complete with birthday cake! 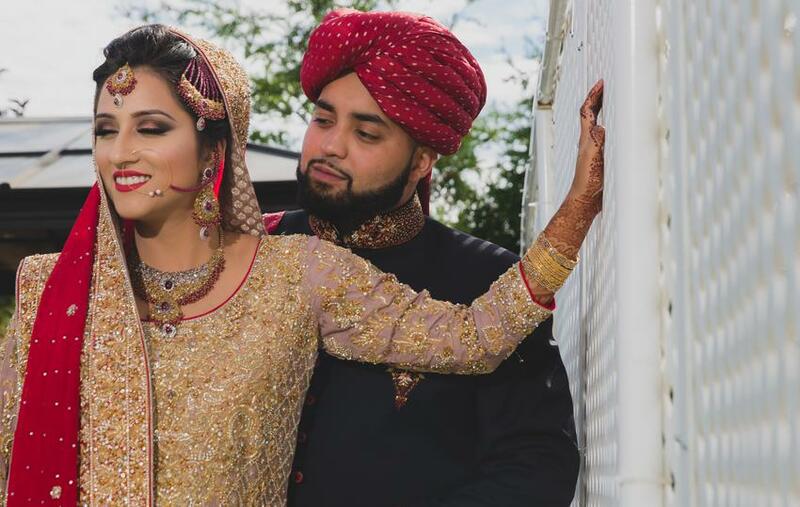 Wedding photos same day edit <– Click here to see a sample of the same day edit and slideshow that was shown at the Walima. 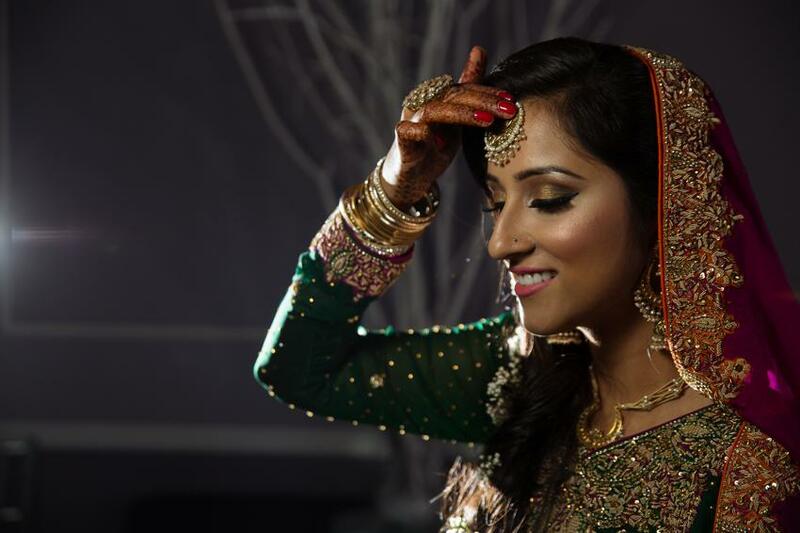 A gorgeous bride ready for the Walima. 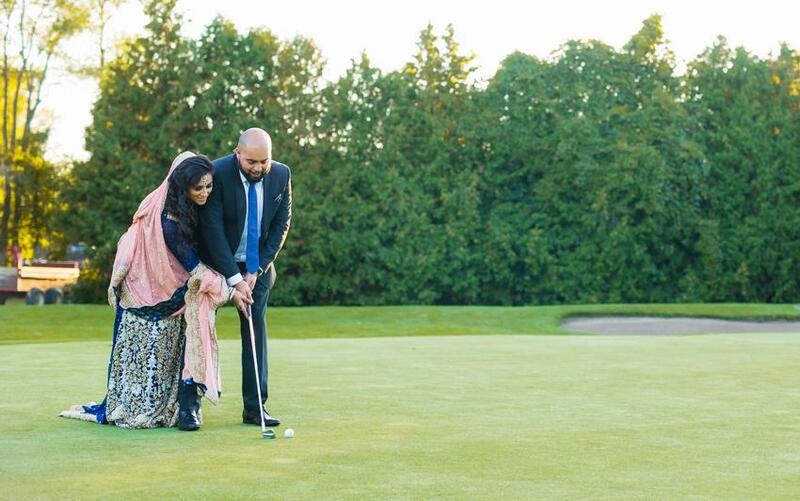 Ahmed looked classic for the Walima. 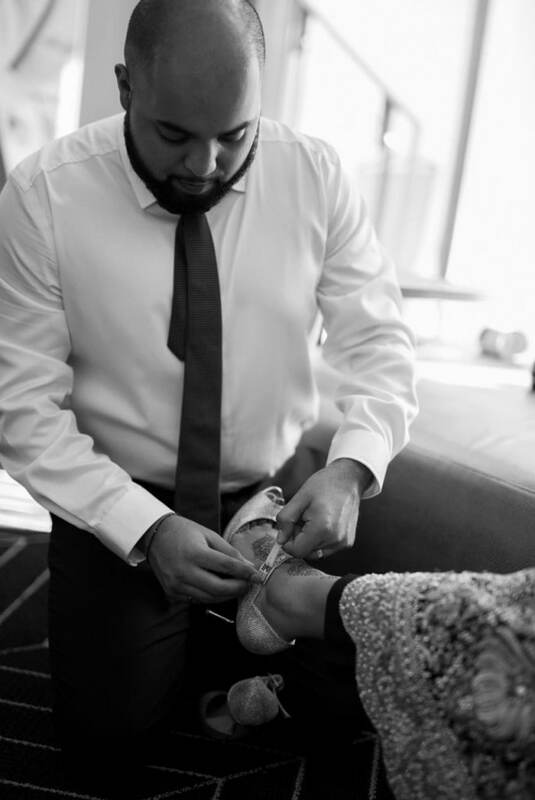 Ahmed helped out his new wife with some final details. And Hiba returned the favour. 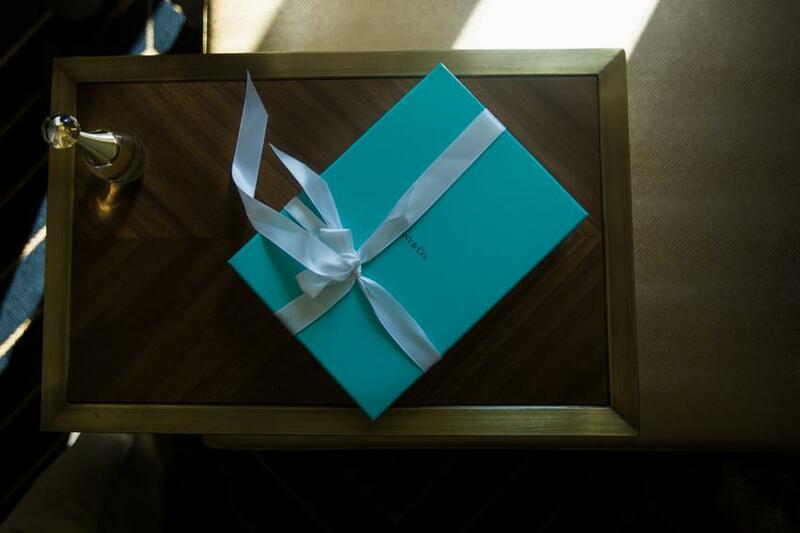 A surprise gift for the bride. 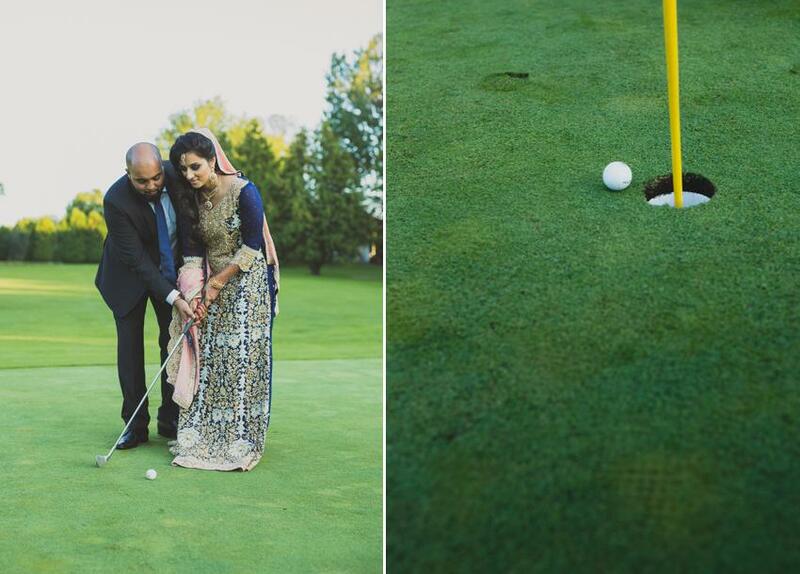 Enjoying a couple rounds on the golf course before the reception. A new take on tossing the bouquet. The guys seem to enjoy the bouquet toss as well!